The location is excellent. It is at 200 Spencer Street in a building shared with residents. Google lists the business (by name) as being further up the road, however just look for the gold blingy entrance directly across from Southern Cross Station (or type 200 Spencer Street in). I called for extra help to find it and the staff member was also very helpful once I arrived. It's fuss free and you really do get the city apartment experience if you've ever wanted to try it (I have!). The floor's halls were undergoing renovation, but the apartment was excellent and a staff member accompanied me to show me the room and explain a few things. 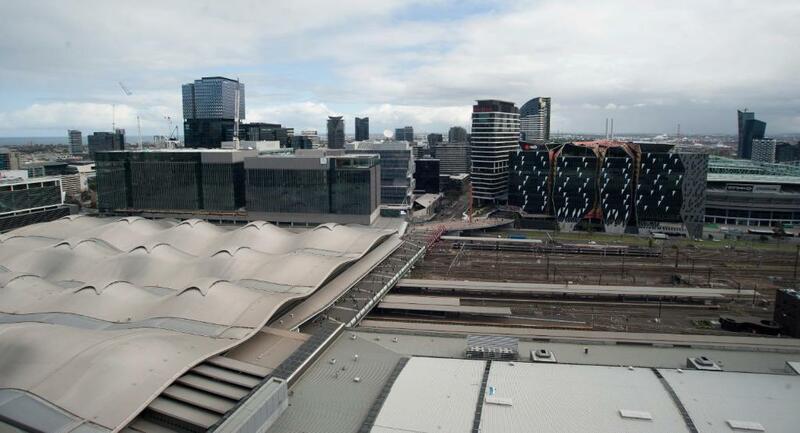 Located right across the street from the Southern Cross station, which is where you are dropped off if you take the Skybus from the airport. That was just perfect. The kitchen was well stocked with plates, cups, etc. and there was some milk in the fridge - nice touches. The floor to ceiling windows were a nice addition. Early check in was great, location is great as well for tourists to Melbourne. Location was fantastic for shopping, dining out and public transport. The size of the apartment was perfect for a family on an extended stay. Superb location; proximity to Southern Cross station, Skybus, city tram, Coles supermarket & Spencer St Outlet. With the city tram, free travel around the city is a breeze. Apartment is simple, neat and with a dryer too, it's very convenient if u dun wish to bring too many clothes. Response from service team is prompt. 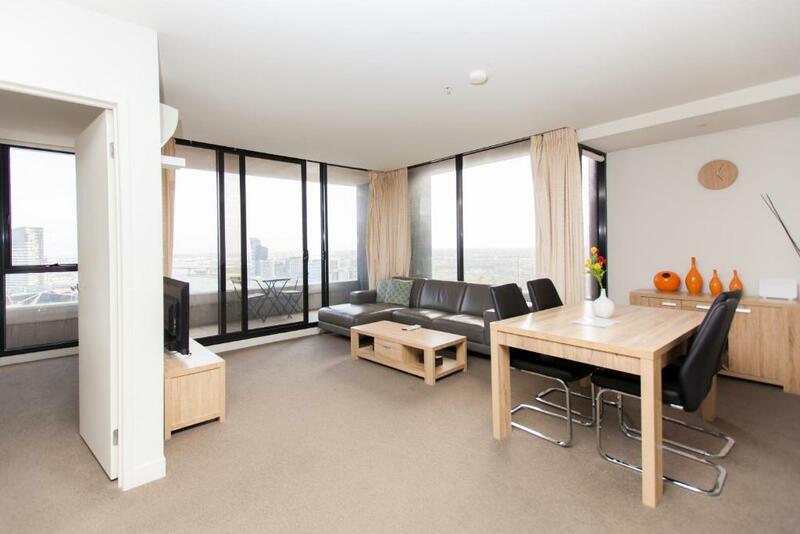 Lock in a great price for Southern Cross Serviced Apartments – rated 8.5 by recent guests! Southern Cross Serviced Apartments This rating is a reflection of how the property compares to the industry standard when it comes to price, facilities and services available. It's based on a self-evaluation by the property. Use this rating to help choose your stay! 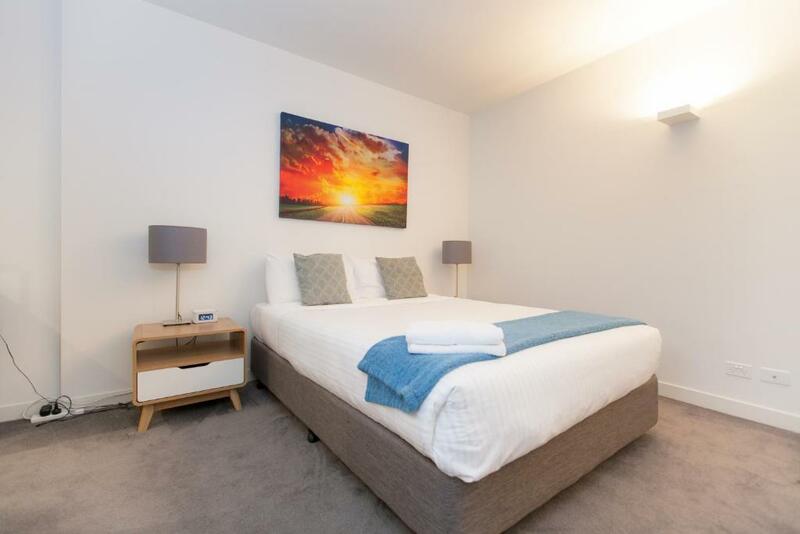 One of our top picks in Melbourne.Centrally located in the heart of Melbourne's central business district, Southern Cross Serviced Apartments is located opposite to the Southern Cross Station, with the airport shuttle bus at the doorstep. Each apartment features modern decor what an open-plan lounge area and a private balcony. There is a fully equipped kitchen with a dishwasher and a microwave. Each apartment is also equipped with a washing machine and dryer. 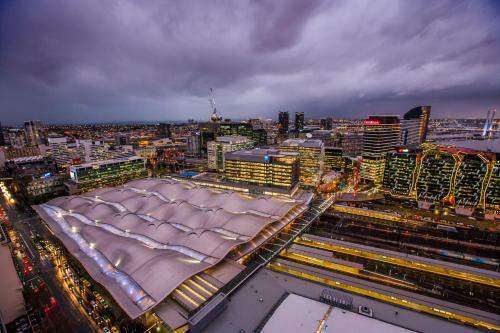 A 5 minute walk from Etihad stadium, the apartments are also a 10 minute walk to Docklands Victoria Harbor, 15 minutes walk to Crown Casino, Melbourne Convention and Exhibition Center and Queen Victoria Market. 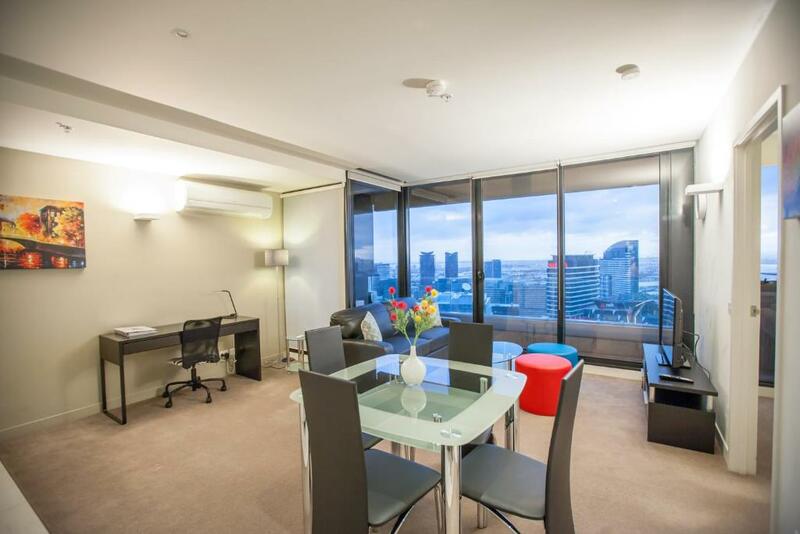 When would you like to stay at Southern Cross Serviced Apartments? 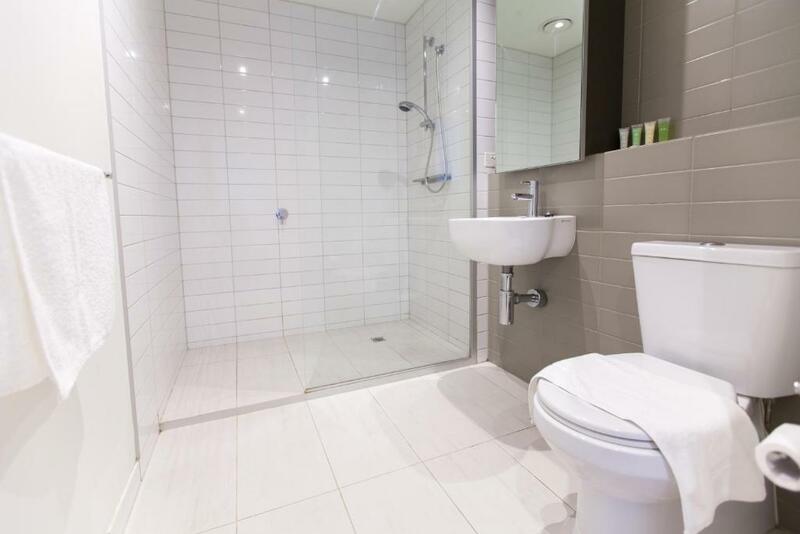 This large 1-bedroom apartment apartment features a microwave, stovetop, kitchenware, flat screen TV, DVD player, kettle, washing machine and dryer. This 1-bedroom apartment features a microwave, stovetop, kitchenware, flat screen TV, DVD player, kettle, washing machine and dryer. This 2-bedroom apartment features a microwave, stovetop, kitchenware, flat screen TV, DVD player, kettle, washing machine and dryer. 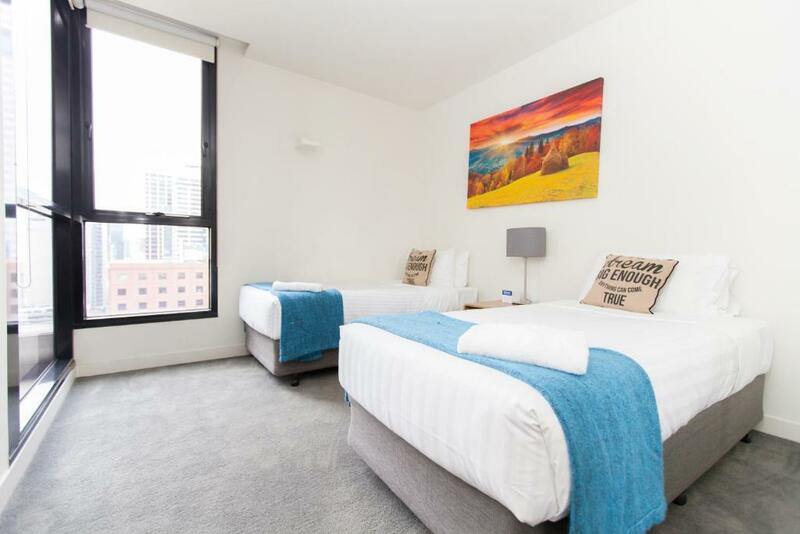 This spacious 2-bedroom apartment features a microwave, stovetop, kitchenware, flat screen TV, DVD player, kettle, washing machine and dryer. House Rules Southern Cross Serviced Apartments takes special requests – add in the next step! Southern Cross Serviced Apartments accepts these cards and reserves the right to temporarily hold an amount prior to arrival. Please note that this property has no reception. Please contact the property using the contact information provided on your booking confirmation 10 minutes before arrival and a staff member will meet you at the entrance. Please note that there is a 1.5% charge when you pay with Mastercard or Visa credit card and a 3.5% charge when you pay with an American Express or Diners Club credit card. Cash will not be not accepted. This credit card must be in the same name as the name on the booking confirmation. Please note that housekeeping service is only offered for stays of more than 4 nights. You can request daily housekeeping service at an extra charge. Please note that the number of guests cannot exceed the number stated on the reservation. Guests who are unable to meet these check-in requirements will not be granted access. Please note that parking is subject to availability and reservation is needed due to limited spaces. They gave only 1 key for Apartment with 2 bedrooms. Location is the best! It's located in front of Southern cross station. It's reall easy to go to take tram and train. The room is so amazing! View is fantastic! Highly reccommend! Nothing it's great value and location couldn't be better. Apartment was filthy, cracked vanity, tiles and walls had chips and broken compliance. The indoor swimming pool out of order. 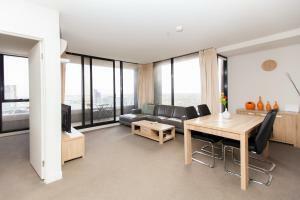 The location is excellent - across the road from the Skybus terminal and close to trams. The apartment is clean with a good view of docklands skyline. The apartment is well equipped for self catering and everything works including the washing machine. I arrived late at night (midnight) because of troubles with the airport at Sydney. Fortunately my son had checked in earlier and he took a day off work so that he was there to get the key. I might have had trouble accessing the room if I had arrived on my own. Loved that it was opposite the Skybus. The view was spectacular and the room was very nice and the bed was comfortable. My son slept in the sofa bed and found it comfortable. Glad there were tea making facilities. 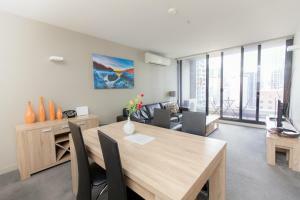 Location was great with the tram stop right in front of your door, 7/11, food eateries and Coles within walking distance. DFO across the road was great. View from our room was fantastic. Friendly Staff, easy check in and check out. That there was work on our level. Very comfortable apartment. Everything we thought it would be. Exact description of apartments. The shower was honestly terrible. It took five minutes to heat up and I had more water/pressure at the bathroom sink. The doors were also a little off and it was a struggle to close/lock some of them. Location was fantastic, beds and living room were lovely. Complementary wifi was a big plus and had great speeds. Room was well insulated and the kitchen was well equipped.